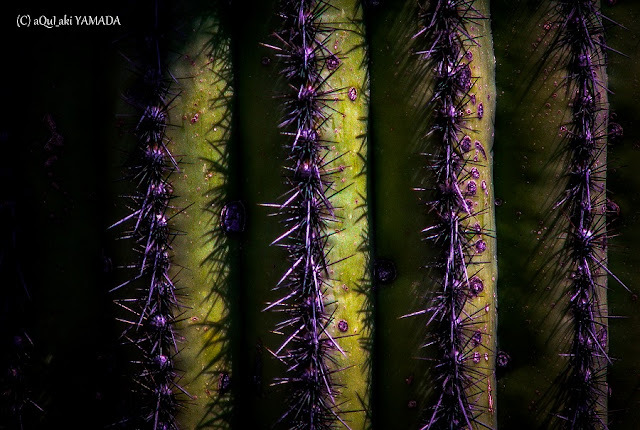 The spines on a saguaro, less than two meters in height, rapidly grow up to a millimeter per day. When held up to the light or bisected, alternating light and dark bands transverse to the long axis of spines can be seen. These transverse bands have been correlated to daily growth. In columnar cacti, spines almost always grow in areoles which originate at the apex of the plant. A spine stops growing in its first season. Areoles are moved to the side and the apex continues to grow upwards. Thus, older spines are towards the base of a columnar cactus and newer spines are near the apex. Studies are underway to examine the relationship of carbon and oxygen isotope ratios in the tissues of spines of an individual to its climate and photosynthetic history (acanthochronology). State of Sonora, and the Whipple Mountains and Imperial County areas of California. The saguaro blossom is the state wildflower of Arizona. Its scientific name is given in honor of Andrew Carnegie. 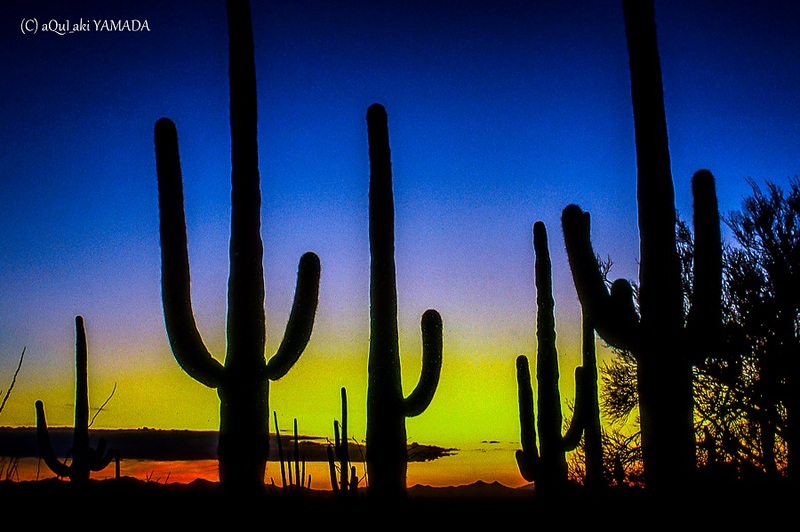 In 1994, Saguaro National Park, near Tucson, Arizona, was designated to help protect this species and its habitat. It is the only US national park devoted to a particular plant species. Saguaros have a relatively long lifespan. They may grow their first side arm any time from 75–100 years of age, but some never grow one at all. A saguaro without arms is called a spear. The arms are grown to increase the plant's reproductive capacity (more apices lead to more flowers and fruit). The growth rate of saguaros is strongly dependent on precipitation; saguaros in drier western Arizona grow only half as fast as those in and around Tucson, Arizona. Saguaros grow slowly from seed, never from cuttings. Specimens may live for more than 150 years and grow to be over 40 ft tall. The largest known living saguaro is the Champion Saguaro growing in Maricopa County, Arizona, and is 13.8 m (45.3 ft) tall with a girth of 3.1 m (10 ft). The tallest saguaro ever measured was an armless specimen found near Cave Creek, Arizona; it measured 78 feet (24 m) tall before it blew over in a windstorm in 1986. Saguaros soak up the rainwater and visibly expand. They conserve the water and slowly consume it. john lennon- Oh My Love "Imagine"